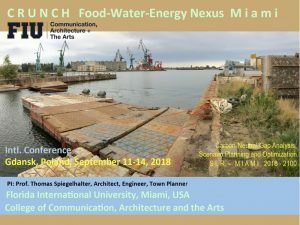 Department of Architecture Professor Thomas Spiegelhalter, CO-Director of the Structures and Environmental Technologies Lab (SET) presented his initial collaborative research findings at the E.U. 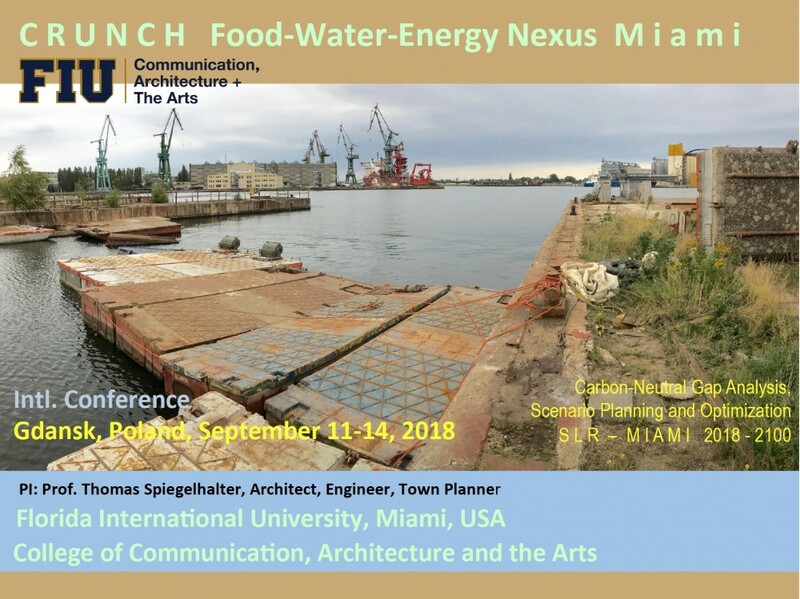 Belmont CRUNCH – Climate Resilient Urban Nexus Choices workshop conference in Gdansk, Poland. 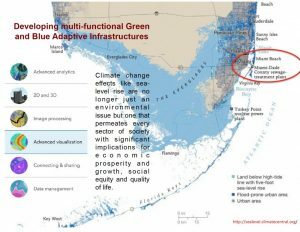 Spiegelhalter has been awarded along with a team of international researchers, a total award amount of 1,9 million dollars for their CRUNCH Climate Resilient Urban Nexus Choices in February, 2018. The research project was selected from a pool of 79 projects as part of the joint call ‘Sustainable Urbanization Global Initiative’ (SUGI), organized by Urban Intelligent Europe JPI, EU Horizon 2020 and the Belmont Forum with support from the European Commission. 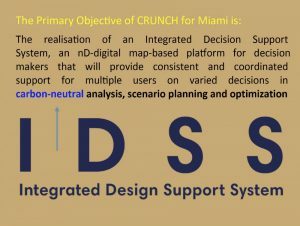 The three-year CRUNCH project consists of strategically selected 19 university/industry/business partners from 6 countries (UK, The Netherlands, Sweden, Poland, USA, Taipei/China); The only 2 non-EU countries USA and Taipei, China, are partly led by Spiegelhalter whereas all CRUNCH members are working closely together with different work packages of Strategic Innovation Trajectories (SITs). The selected six participating municipalities are the Non-European Cities Miami (USA) and Taipei (Taiwan/Chinese Taipei), and the European Cities Southend-on-Sea (UK), Eindhoven (Netherlands), Gdansk (Poland), and Uppsala (Sweden). Business partners include STANTEC (U.S.), AECOM Ltd (UK), The Ecological Sequestration Trust (UK) Experior Micro Technologies Ltd / CULTINOVA Ltd (UK) CUL, KnowNow Information Ltd – IT Systems, Portsmouth, KNI (UK), Glasgow City Council, GLA (UK), and Soil Association. 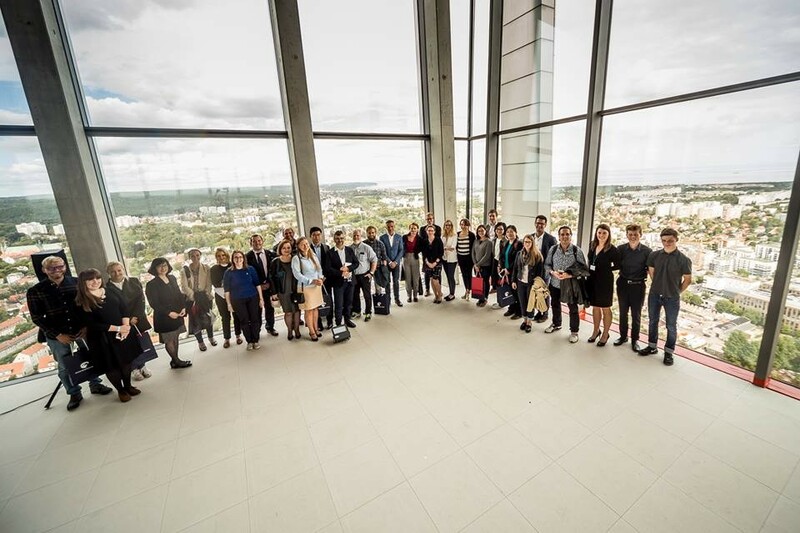 All members performed their first workshop conference at AECOM in London and Southend-On-Sea (Royal Pavilion), UK, on April 22-24, and the second time in Gdansk, Poland, at the Olivia Business Centre, and at Kuznia Wodna & Gdansk University of Technology in the week of Sept. 12-14, 2018. 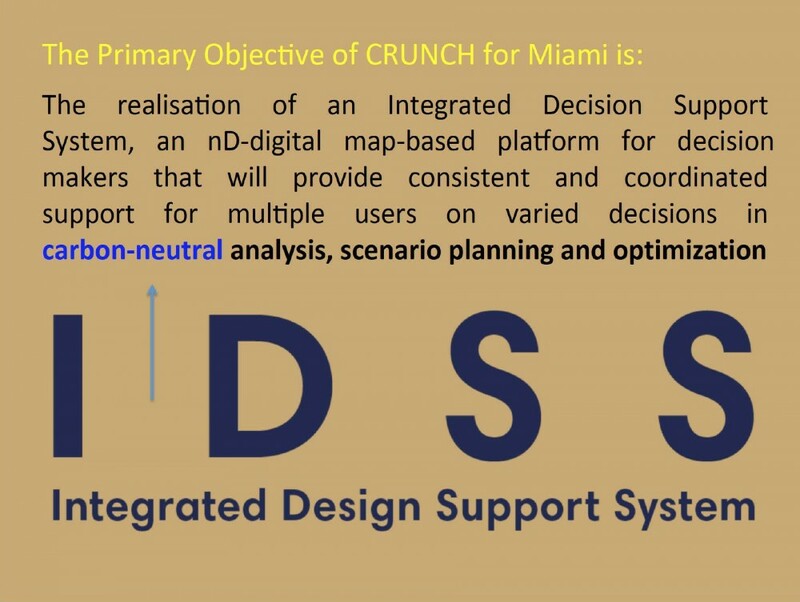 Major workshop and conference topics around CRUNCH focus on how the urban Food-Water-Energy Nexus can strengthen urban resilience through creating an interconnected knowledge platform with cross-sectorial indicators for a digital support tool and assessment framework (the Integrated Decision Support System – IDSS), to guide and improve robust decision making on future urban development. 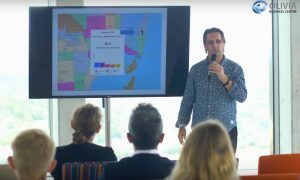 For example Principal Spiegelhalter’s FIU team is focusing together with the City of South Miami, Miami Beach, Surf Side and Miami-Downtown with industry/business partners such as STANTEC through the new CRUNCH Urban Living Lab (ULL) at the FIU Miami Beach Urban Studios (MBUS). This area was specifically selected; because it is constantly challenged by sea-level rise, flooding’s with impacts on community, economy and infrastructures. 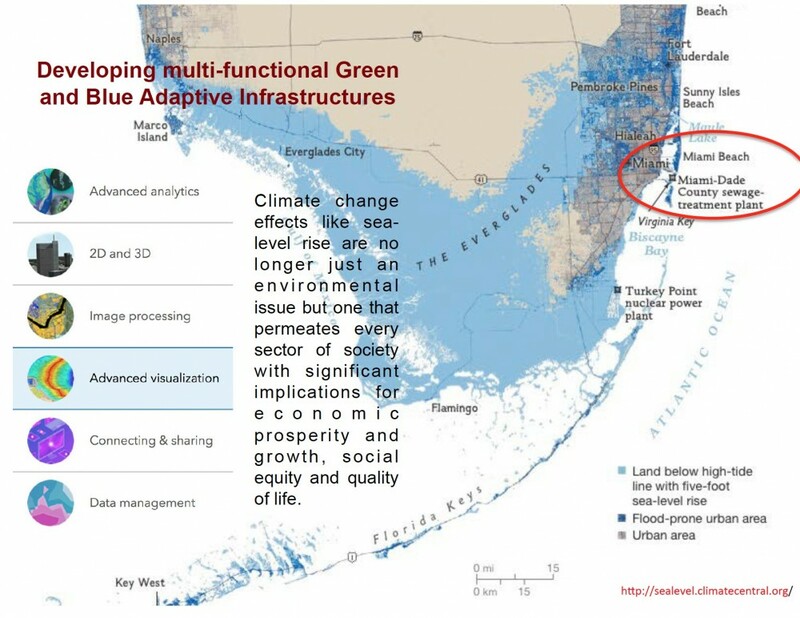 The ULL-FWE baseline includes research sectors for carbon-neutral city analysis modeling, scenario optimizations, strategies and visualizations, water management, robotic urban farming, food production, hydroponics, mixed renewable energy design and carbon-neutral power generation with adaptive blue-green infrastructure projects to support the global and local Food-Energy-Water Nexus. 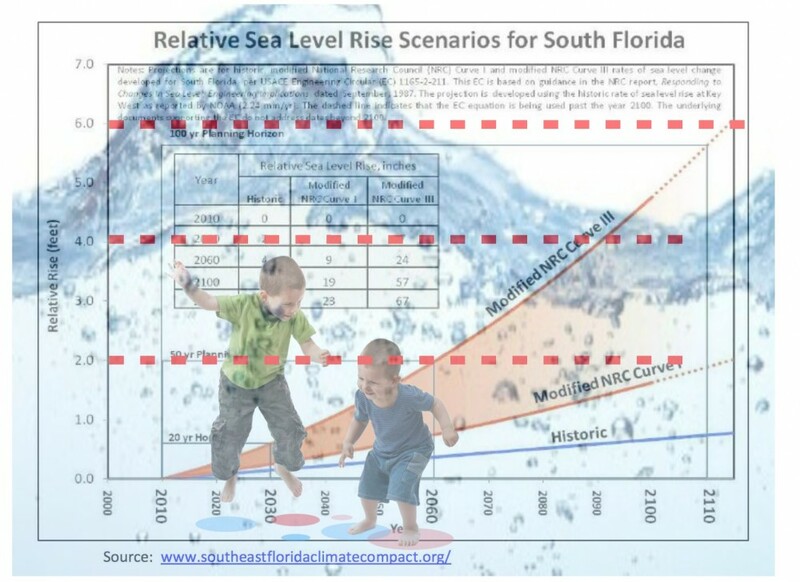 The FIU-ULL will develop data baselines with multidimensional animations, best-practice scenario-models for multi-disciplinary prototype projects all managed through a new cloud-based Integrated Decision Support System (IDSS) that will be shared locally, regionally and internationally with stake-holders in public events, conferences, workshops, ane other collective venues.